Today, tissue engineered scaffolds made by electrospinning are becoming a central focus of vascular prostheses research due to their ability to assist native tissue recovery. Compared to a single material, multifunctional composite scaffold could provide more suitable microenvironment for the tissue regeneration. 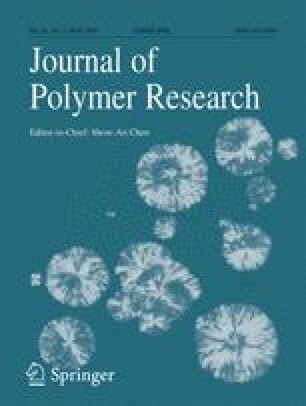 In this study, electrospun composite scaffolds are developed by reinforcing a matrix of poly (lactic acid) (PLA) and poly (butylene succinate) (PBS) by cellulose nano-fibrils (CNFs). Initially, PLA/PBS fibrous scaffolds with different ratio were prepared. The best properties and bioactivity of the scaffolds were obtained at equal ratio of PLA and PBS. Overall performance of electrospun scaffolds improved greatly by introduction of CNF into the PLA/PBS scaffolds. The developed composite scaffolds were found to meet some of the essential requirements for vascular tissue regeneration. They showed a uniform fibrous structure with desirable size dimension, cell-friendly surface characteristics, sustainable biodegradation behaviour and sustainable mechanical property compared to native tissue. In addition, the CNF composite scaffolds supported attachment and proliferation of human fibroblast cells more than PLA, PBS or their blends alone. Overall the developed composite scaffolds demonstrated their potency for vascular tissue engineering application. The authors would also like to acknowledge Ahmed Alshahri, Numan Salah, M. Shahnawaze Ansari, Javed Iqbal, and Florencio Trovela for their technical support.